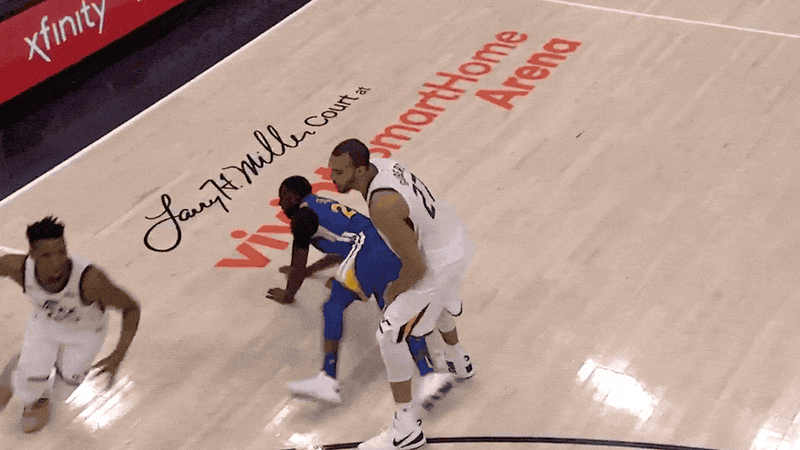 The Jazz and Warriors are playing out a pretty goofy end-of-season game in which Golden State is very much not going at 100 percent and Utah is taking advantage. 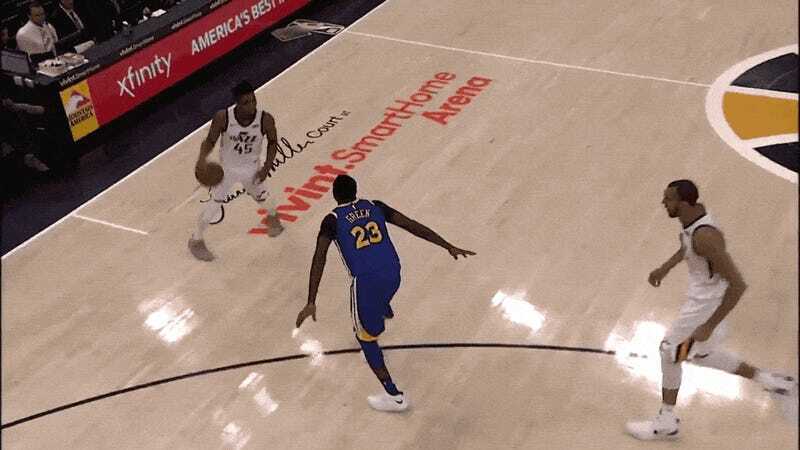 No moment has been sillier, though, than Jazz rookie Donovan Mitchell making reigning defensive player of the year Draymond Green look utterly broken, with a slick crossover that had the fearsome Warrior swiping air as he crumpled to the ground. Even if he’s not trying his hardest, Draymond probably wants to look a little better than that.